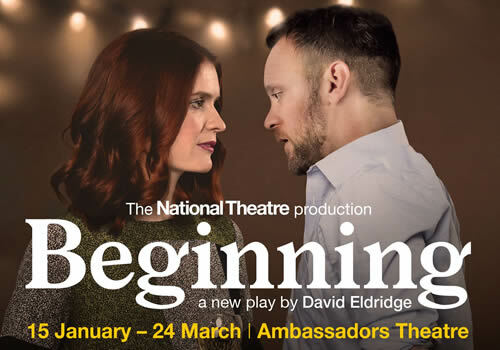 After a sold-out run at the National’s Dorfman Theatre, David Eldridge’s critically acclaimed play Beginning transfers to the Ambassadors Theatre, following the departure of long-running entertainment show Stomp. Receiving five stars from the major London critics, the smash-hit, funny production runs at the West End venue from January 2018. Beginning charts a real-time encounter between two strangers at the end of a house-warming party, who strike up an interesting conversation. Taking place in the early hours of the morning, Danny is the last hanger-on at Laura’s new flat. Everything is a mess, including the remaining couple. But one more drink shouldn’t hurt! 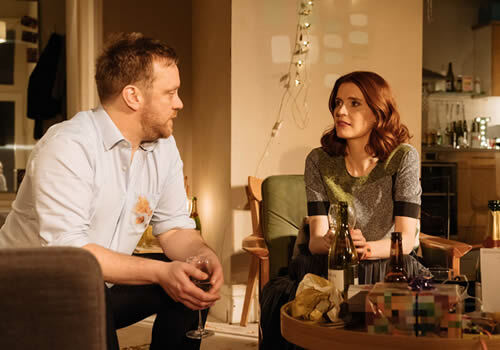 A truthful and tender look at the beginnings of a relationship, the play examines the first fragile moments of risking your heart and taking a chance. 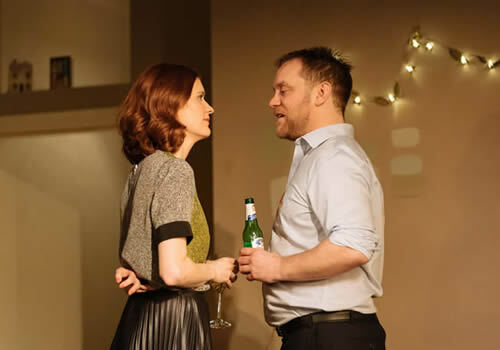 Sam Troughton and Justine Mitchell reprise their roles as Danny and Laura. Troughton has appeared in the National Theatre’s King Lear and the BBC’s The Hollow Crown, whilst Mitchell has appeared in Bodies at the Royal Court and Mr Burns at the Almeida Theatre. 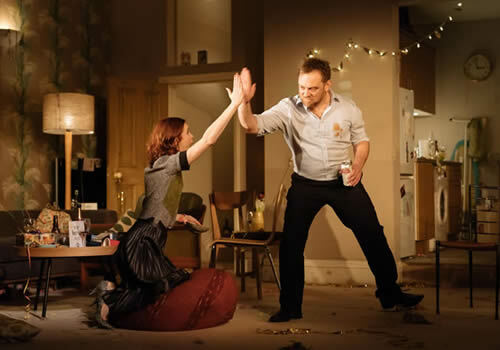 Directed by Polly Findlay, who has helmed productions at the National Theatre including As You Like It and Antigone, as well as the hugely successful Limehouse at the Donmar Warehouse, Beginning is written by David Eldridge, whose dramas include Festen, Under the Blue Sky and the BBC’s The Scandalous Lady W, which starred Natalie Dormer. The production features design by Fly Davis, choreography by Naomi Said, lighting design by Jack Knowles and sound design by Paul Arditti. Playing at London’s Ambassadors Theatre, the play runs from January 15th to March 24th 2018, with an official opening on January 23rd 2018. Beginning contains strong adult themes and language and is not suitable for children. Click here for the Ambassadors Theatre seating chart and seat price guide.